This is a nice enough turquoise blue. I was hoping for something with a bit of green in it, but this isn’t at. 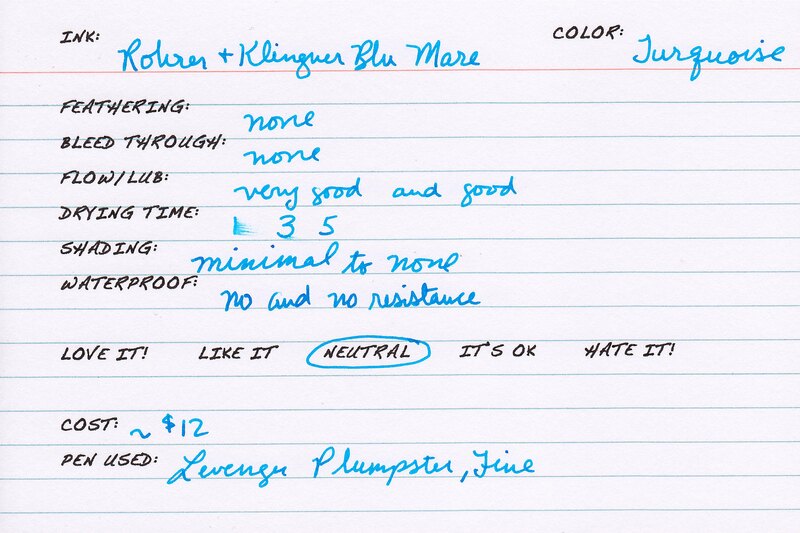 This ink is bright and well behaved. In that way, it reminds me more of the turquoises of old: Skrip Peacock Blue/Turquoise, Pelikan Turquoise, Mont Blanc Turquoise, etc. If you are looking for a straight turquoise blue that exhibits wonderful behavior this may just be your ink.